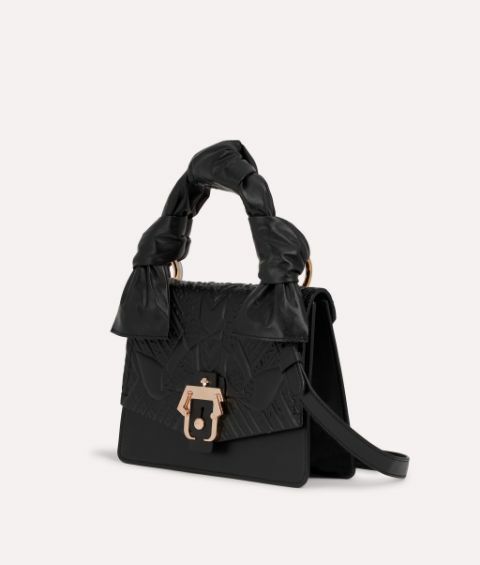 A classic is transformed! 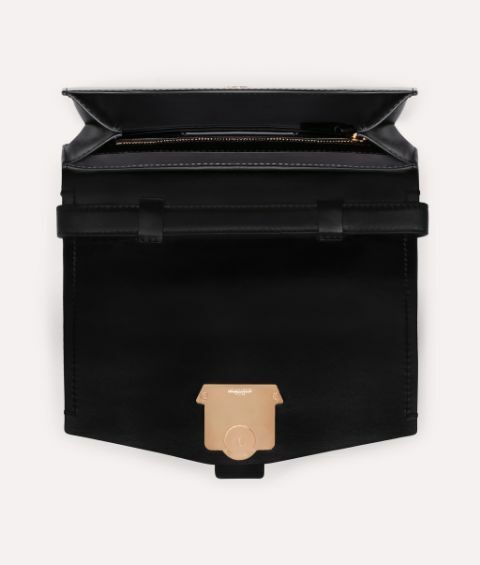 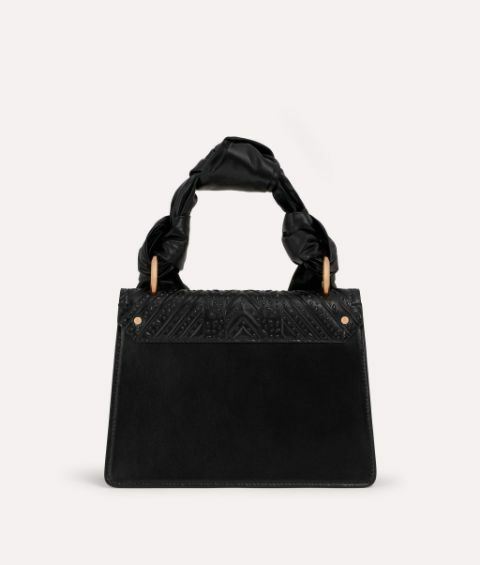 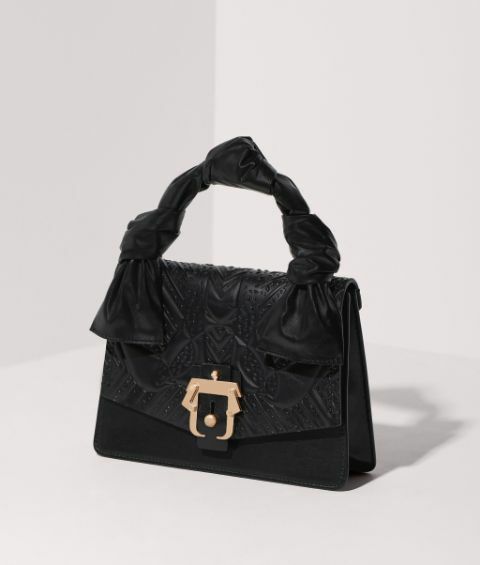 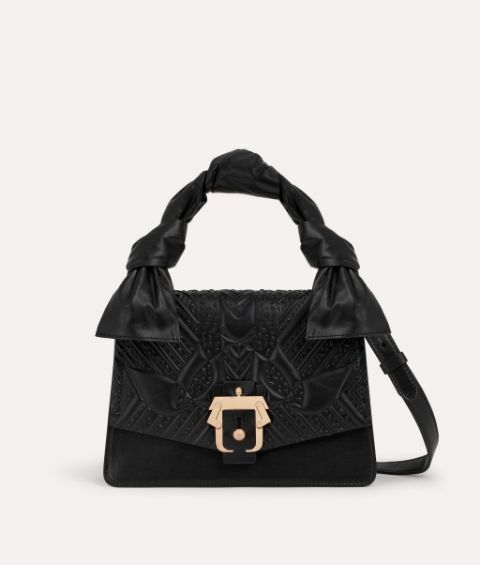 Petite Arianna combines Paula Cademartori's modern femininity and eye for eternal luxury in this jet-black leather bag crafted with a knotted handle adding softer, sensual shape in contrast to the structural design. 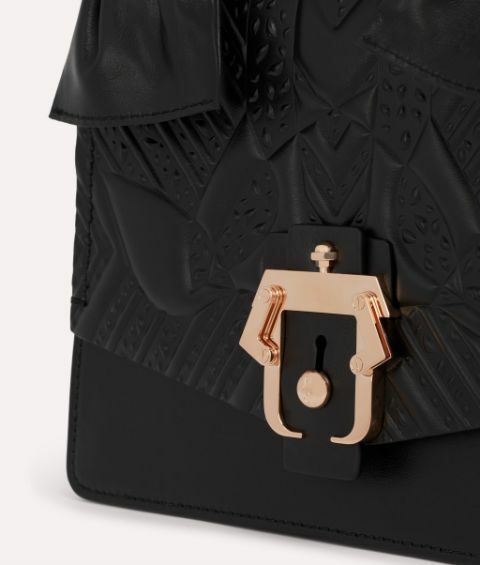 Embossed with the spirited Petals pattern, this compact piece delivers contemporary bohemian cool.